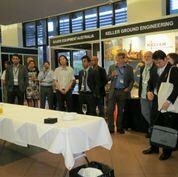 Wollongong University hosted the International Conference on Ground Improvement and Ground Control from 30th October to 2nd November 2012. 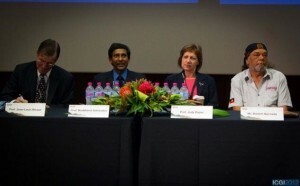 Showcasing ground improvement concepts and applications in the fields of transport infrastructure and natural hazards mitigation, the conference acted as a platform to disseminate the most recent research and field advances to the global geotechnical community. 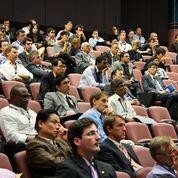 Over 300 participants from 30 countries took part. 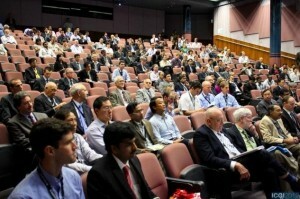 Outstanding Keynote lectures, State of Art presentations, Heritage lectures and numerous technical discussions were delivered during the three days of scientific and technical discourse elucidating a comprehensive coverage of the current State-of-the-Art in Ground Improvement from theory to practice. The technical program was complimented with excursions encompassing reclaimed land at Port Kembla designed by the University of Wollongong’s geotechnical group and landslide hazards mitigation works at the Lawrence Hargrave Drive Bridge.